More Michigan schools are meeting goals in areas such as student performance on standardized tests and graduation rates. That's according to the state's annual school accountability report, which was released Wednesday. The number of schools meeting most of their learning goals jumped by almost 30 percent since last year. 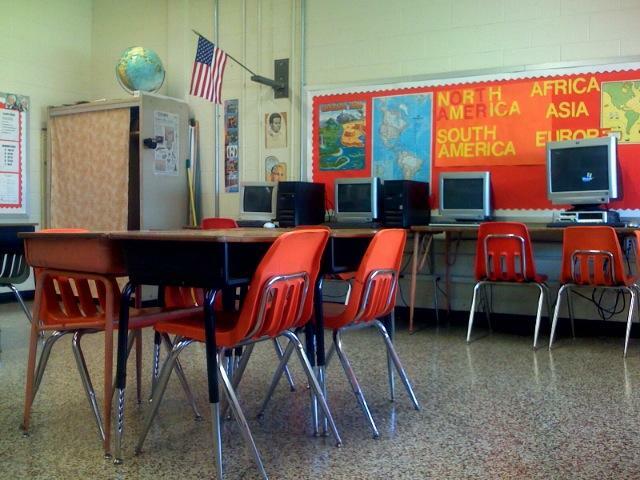 The report also showed more of Michigan's lowest performing schools are turning around. It says more than a third of the schools that were in the lowest five percent last year are no longer in that category. But the report also suggests most schools are still not meeting enough goals to get a high overall rating from the state. And some education groups say the numbers also suggest many schools are not doing enough to meet the needs of low-income and minority students. Three schools in the Ypsilanti Community Schools district are classified as "Priority" schools: Holmes Elementary, New Tech High School and Ypsilanti Community Middle School. Holmes has been working under a re-design plan since last year, while New Tech and the middle school are new to the list. Others say the information is too confusing to be useful. That's because the state uses a color-coded system to rate schools. "As a parent, I don't know what the color purple or lime or yellow or red means," said Tim Melton with the group Students First. "But I will tell you, if you gave my school an A, B, C, D, or an F, I would clearly understand if my school is on track or not." Students First is among several education groups in Michigan supporting House Bill 5112, which would rate schools by letter grades from A to F.
Michigan Department of Education spokesperson Bill DiSessa says, barring legislation, they do not plan to throw out the system any time soon. "We are going to collaborate and work with those folks to see if there are some improvements to be made down the road," said DiSessa. "But right now, this is the system we have and it is a good overall measure of school academic progress."